With days to go until legislation changes, ITV is gearing up to make pay TV operators pay extra. On Monday 31st July 2017, rules stopping ITV and other commercial public service broadcasters from charging pay TV operators for carriage of their main channels are repealed under the Digital Economy Act 2017. 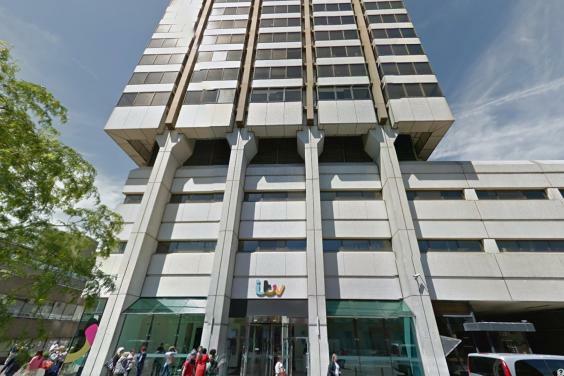 In its interim results, released Wednesday, ITV once again indicated it is preparing to charge retransmission fees following the legislative changes. Reports in recent weeks have suggested that Virgin Media will be the first pay TV operator to face a demand for extra cash, which would help ITV make up for a drop in traditional ad revenue, currently down 8% over the year. The Telegraph reports that negotiations with Virgin Media over carriage of ITV2 in August could be extended to cover the main ITV channel. A failure to reach an agreement could lead to Virgin Media viewers having to switch to Freeview, satellite or online streaming to continue watching ITV channels. Virgin Media has already indicated it doesn't want to pay extra for ITV's free-to-air services. Sky could face a similar demand from ITV in the future [due to its plans for a dish-free TV service]. Until now, the only way ITV has been able to receive substantial payments from pay TV operators is by offering them exclusive content beyond the main free-to-air outlets. Such deals have included launching pay TV HD simulcasts of its offshoot channels and providing exclusive access to on-demand content and linear channels - Sky has ITV Encore and Virgin Media has ITVBe HD. Beyond 31st July 2017, as existing carriage agreements expire, ITV can negotiate new deals covering its whole portfolio of channels, with the main channel 3 service forming the crown jewels of the offer. With pay TV providers facing the possibility of losing access to the UK's most watched commercial channel, ITV will hope that it can extract more money than it could by offering pay TV-exclusive services. But pay TV providers, forced to pay for access to ITV's core offering for the first time, may re-evaluate how much they are paying to carry exclusives like ITV Encore, if it is perceived these exclusives do not add significant extra value on top of what they will soon have to pay for ITV's main channels. Freeview and Freesat are exempt from the legislative changes: the provision of free-to-air coverage is built into the licences of the commercial public service broadcasters. BT and TalkTalk, while offering pay TV services, piggyback on the Freeview signal for access to ITV and other main channels. In its interim results statement, ITV also confirmed that revenue from its Freeview multiplex business SDN, which is generated from license sales for DTT Multiplex A (also known as COM4) increased 6% to £35 million, up from £33 million year-on-year. The increase was driven by the launch of a 16th videostream on the multiplex in spring 2016, which allowed shopping channel Hochanda to launch its own standalone service on Freeview. The shopping channel has since reduced its hours on Freeview due to the cost of carriage, with Discovery's Quest+1 service plugging the gap.